John Zorn's Masada project has blossomed over the past decade and a half, demonstrating durability in the face of multiple interpretations. The composer's stated intention to create a classic songbook, a consistent body of written work to inspire artists beyond his own performances, has been fruitful. However, most of the variations on these Hassidic-inspired tunes have been made by peers and associates who record for Zorn's own Tzadik imprint. 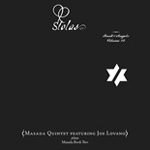 Stolas: Book of Angels, Volume 12 stands poised to break Zorn's Masada through to the traditional mainstream, courtesy of tenor saxophonist Joe Lovano. A highly respected traditionalist, Lovano's inclusion in this Downtown super-group is something of a coup. 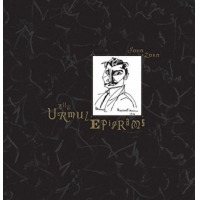 Interpreting some of Zorn's most accessible and sublime compositions, Lovano is joined by a quartet of Masada veterans, including trumpeter Dave Douglas, pianist Uri Caine, bassist Greg Cohen and drummer Joey Baron. No stranger to these environs, Lovano has performed and recorded with Baron and Douglas before, most notably on Flights of Fantasy, Trio Fascination Volume Two (Blue Note, 2001). Lovano's inside-outside sensibility is readily suited to handle Zorn's mercurial detours, yet this set eschews the composer's infamous extremism, focusing instead on lush themes and opulent melodies. Mature and restrained, the quintet's tasteful performances are splendid, their solos probing and lyrical, and the rhythm section tight and responsive. Cohen's supple bass tone provides an unwavering foundation, while Baron contributes some of his most animated work, dominating every track he solos onhis pneumatic salvos on "Sartael" and "Serakel" are telling highlights. Caine's interpretations of Zorn's Yiddish themes best his own work in a similar vein; his blazing keyboard assault on "Sartael" provides dynamic contrast to the introspective ruminations of "Rigal." Sparring and feinting with simmering intensity tempered by courteous restraint, Lovano and Douglas wax lyrical throughout this nuanced session. The expansive "Tagriel" demonstrates Lovano's expressive sensitivity with a smoldering extrapolation of hushed motifs, while Douglas unveils his most impressive solo of the date, an architecturally robust series of impassioned variations, brimming with harmonic and tonal invention. Zorn makes a guest appearance on the dramatic "Rahtiel," almost stealing the show with his caterwauling alto. Amplifying the proceedings with his vociferous attack and ardent tone, he further proves that the original Masada Quartet could be far more capricious than the polite discourse this album suggests. Other than "Rahtiel," only the bristling, Ornettish free bop of "Sartael" invokes the primal frenzy of the original Quartet. Calm, cool and collected, this is swinging modern jazz bolstered by congenial interplay and an exotic, Yiddish patina. Devoid of the histrionic fervor of Zorn's original Quartet recordings, Stolas: Book of Angels, Volume 12 is the Masada Songbook's most mainstream offering to date. 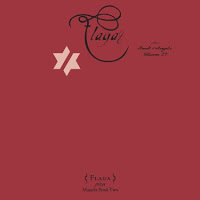 Track Listing: Haamiah; Rikbiel; Psisya; Sartael; Tashriel; Rahtiel; Tagriel; Serakel; Rigal. Personnel: Joe Lovano: tenor saxophone; Dave Douglas: trumpet; Uri Caine: piano; Greg Cohen: bass; Joey Baron: drums; John Zorn: alto saxophone (6).